46" Overall Length with beautiful, highly detailed wavy blade. 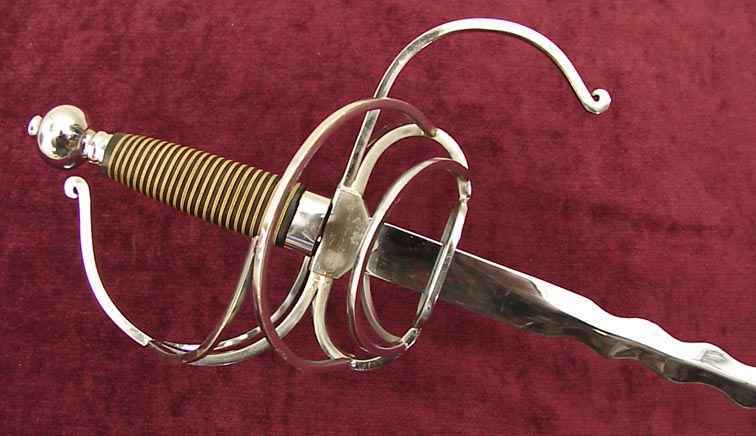 Nickel finish hilt and pommel with wire wrapped over leather grip. Sword has Hiigh Carbon Steel Kris Style Blade. 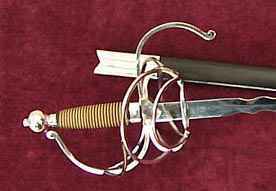 Includes Scabbard with nickel finish ends.